Originally from North Wales with a Merchant Navy background Ian has lived in Sitges near Barcelona since 1994 and is married to his Spanish wife, Isabel. He has played golf on and off since the age of 12, starting in Harpenden in the UK. Most of his immediate family have played golf and he has a niece who hopes to turn professional in the near future in Australia. 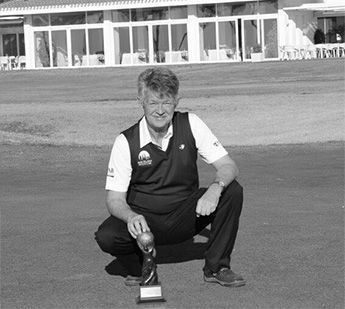 Ian started Barcelona Golf in 2003 and since then has welcomed thousands of golfers to Barcelona and other parts of Catalonia to play some of Europe’s great courses and sample some of the delights the region can bring. In 2014 Barcelona Golf received the accolade as Best Inbound Golf Tour Operator’ at the World Golf Awards. From time to time we are offered special deals by golf courses and hotels, and we are able to pass these savings on to you. These offers are for a limited time. The best golf courses in Spain and Barcelona, mixing the old continent with modern life we will create the perfect scenario to combine golf and Spanish culture. We are always looking to improve and to add to the services that we provide to our clients whether they be here in Catalonia for a holiday, congress or company golf day etc. With our experienced team and with our strategic alliances we can provide you with all the logistics that you need in order to obtain the perfect event.